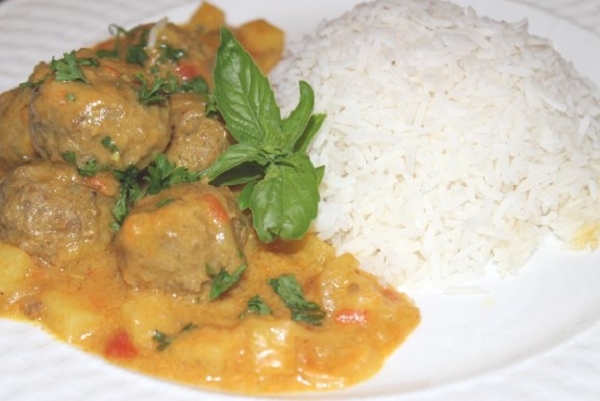 A very tasty meatball curry with ground beef, blended with fresh herbs, to make mouth-watering meatballs that are elevated to a new level when simmered in the fragrant curry sauce. 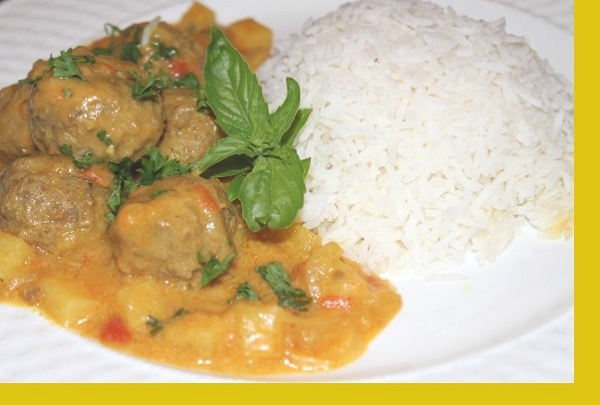 Not to worry, while the word 'curry' implies spiced sauce, this dish is not made to be spicy. Served with rice. 1. Heat sauce pan on medium heat. 2. Empty contents of Meatball Curry into sauce pan and heat thoroughly. 3. Microwave rice for 2-3 minutes or until warm.